/ What Color Cutting Board Should I Get? 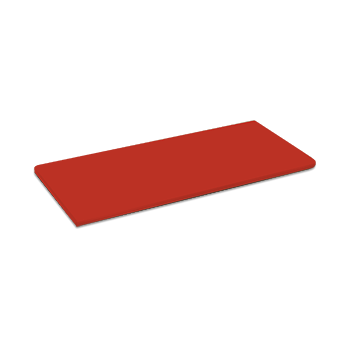 What food to use with what color cutting board? Using different color cutting boards can help you keep track of which types of foods have been used on the board. This makes it less likely that you will accidently cut lettuce on the same board you just used for prepping raw chicken. Remember that one of the most common causes of food poisoning is due to cross-contamination (basically the transfer of harmful bacteria from one food item to another) Cross-contamination typically happens when using the same cutting board or same knife for different foods. Below are the meanings of each color. You can order these direct from us in standard sizes, or why not order a custom sized cutting board. That way you can get the exact size you need for your kitchen. Order your custom sized colored cutting board today and it will ship the next business day!